Bianca is the first of its kind in The New Dupont community, the north Annex’s intriguing new destination for arts, culture, food and entertainment. 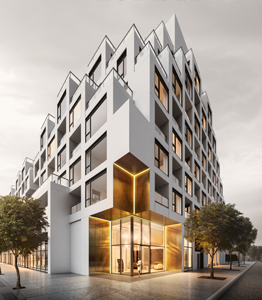 This intimate boutique condominium, developed by Tridel, is distinguished by stepped terraces and snow-white cladding with dramatically scaled interiors that capture the essence of contemporary living. Revealed earlier this week at NeoCon 2017, II BY IV DESIGN (in partnership with ICF Group/Nienkämper) officially launched the Scribble Collection and Tear Drop table. 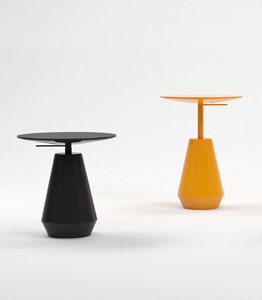 Part of our ever growing line of modern furnishings these pieces provide workplace environments with “endless possibilities inspired by a single continuous line”. Creating place with art, rather than simply a place with art. The COD+A Awards is a global platform which celebrates design projects that integrate commissioned art into interior, architectural, and public spaces. 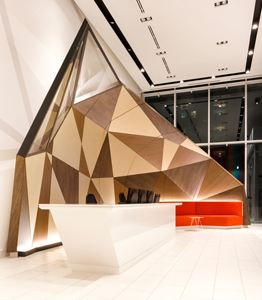 Selected as a finalist from over 460 international submissions, the impressive faceted millwork canopy that defines the lobby of Minto 30Roe is reminiscent of Origami, speaking to both form and function. People’s Choice winners are determined by public vote, starting today…see below.